Before fame, John Cena, who is today one of the venerated faces in the wrestling world, worked as a limousine driver. The WWE star stormed the wrestling ring for the first time in 1999 beginning with the Ultimate Pro Wrestling (UPW). He would later win the UPW Heavyweight Championship the following year, after which he advanced to the World Wrestling Entertainment in 2001 and then made his debut appearance in 2002. John Cena boasts a successful wrestling career packed up with well-deserved victories, awards, and titles. The star has to his name, 12 world titles, 3 US Championships, 19 championships, 2 WWE Tag Team Championships, 2 World Tag Team Championship, and more. The veteran wrestler is also the winner of the 2012 Money in The Bank contract, which solidified his lordship in the wrestling business. 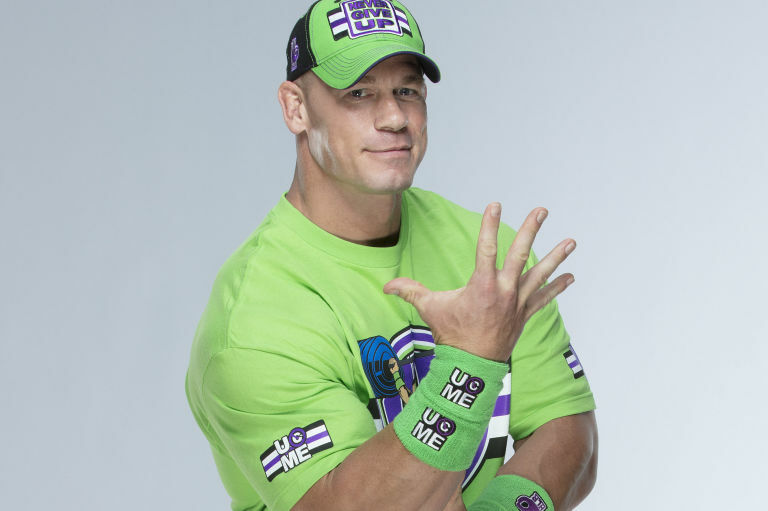 Besides wresting, John also makes extra cash as a television show host, rapper, and actor. He is popular for shows like Saturday Night Live and Manhunt while his acting credits include but not limited to The Reunion (2011), Ready to Rumble (2000), Scoby-do WrestleMania Mystery (2014), 12 Rounds (2009), The Marine (2006) and others. John Cena, who was born John Felix Anthony Cena Jr., is the second son of John Felix Anthony Cena (father) and Carol Cena (mother). He was born in West Newbury, in Massachusetts, on April 23, 1997. Born to a mother who is of French-Canadian with English ancestry and a father who is of Italian descent, John was raised up along with his four brothers, whose names are Dan, Matt, Steve, and Sean. While Dan is his elder brother, the last three are his younger brothers. John’s parents raised him a Catholic, he attended the prestigious Central Catholic High School, Lawrence, in Massachusetts. After spending some years in the school, Cena left for a private school in Ashburnham, Massachusetts, called Cushing Academy. He completed his high school education at Cushing Academy and later proceeded to Springfield College in Springfield, Massachusetts to further his education. During his college days, John Cena was part of his school’s football team. He was famous at the time for his No. 54 jersey and prowess on the pitch. To date, he still uses No. 54 on some of his WWE stock. The wrestler rounded off his college education in the year 1998, graduating with a degree in exercise physiology and body movement. It was after his graduation that the wrestling star decided to become a bodybuilder, a career that has earned him many titles, awards, and accolades. John Cena’s love life has severally been plagued by crisis, as his relationship with women hasn’t been very successful as his career. Cena has been married twice. It is said that the wrestler’s first marriage was to a woman who is not associated with the WWE. As she is not really famous like the wrestler’s other sweethearts, there’s no information about her or her professional life. The wrestler’s second marriage was to Elizabeth Huberdeau, a beautiful lady he supposedly met while in Springfield high school. Cena and Elizabeth’s marriage was first made public by the wrestler in 2009 while he was promoting his film 12 Rounds. The celebrity couple had a lavished wedding on July 11, 2009, in Boston, Massachusetts. However, the two divorced after three years of unstable marital relationship. While it was reported that their marriage crashed as a result of so many factors, a good number of sources claimed that Cena cheated on his wife and that the couple fell out while remodelling their home. Huberdeau and John’s divorce papers were finalized in July 2012, two months after the Newbury-born star filed for divorce. Elizabeth was born in West Newbury, Massachusetts, on September 12, 1979. She is said to be into real estate business. Her short-lived relationship with Cena didn’t produce any child because the wrestler wasn’t ready to be a father. A few months after the divorce, the wrestler began dating professional actress, businesswoman, model, and wrestler, Nikki Bella. The pair became engaged on April 2, 2017, which was the very day the two emerged victorious at WrestleMania 33. The couple, however, called off their engagement on April 15, 2018, cancelling their wedding which was scheduled to take place on May 5, 2018. 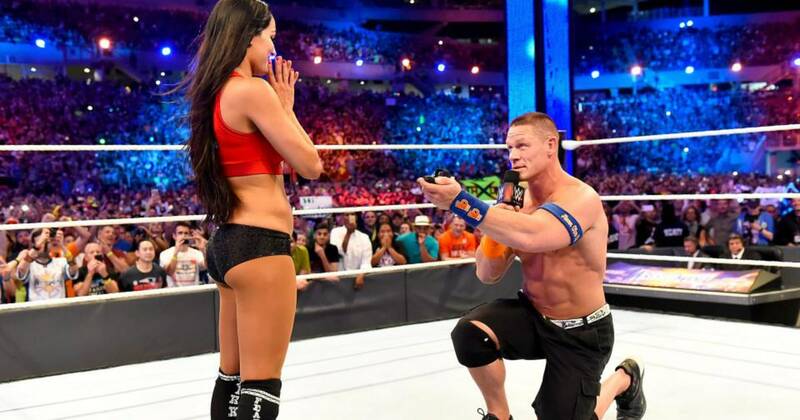 Like John Cena, Nikki Bella was formerly married to his high school sweetheart. According to her, she secretly got married to him when she was 20 years old. However, their marital relationship only lasted for three years. Nikki was born Stephanie Nicole Garcia-Colace, on November 21, 1983, in San Diego, California, U.S. She graduated from Grossmont College and also has a twin sister called Brie Bella. What Is John Cena’s Net Worth? Touted as a lord in the wrestling ring, John Cena is most people’s favourite and one of the few WWE wrestlers who make extra cash from other endeavours. From acting to rapping and then working as a television host, Cena is almost everywhere. Talking about how much he makes from his wealth of business channels, his fortune is valued at $55 million. According to Dave Meltzer, a famous editor at Wrestling Observer Radio, John earns almost a whopping $10 million yearly from WWE. See Also: Dwayne Johnson (The Rock) Wife, Daughter, Ethnicity, Parents, Is He Dead? No, John Cena is not dead but he has been a victim of celebrity death hoax on several occasions. The respected star is currently kicking very strong and breaking new grounds in his wrestling career and other endeavours. So, disregard any information or source that reports otherwise.